Potty Break & New Ideas. While leading tours, inevitably someone needs a potty when we are in the middle of nowhere! 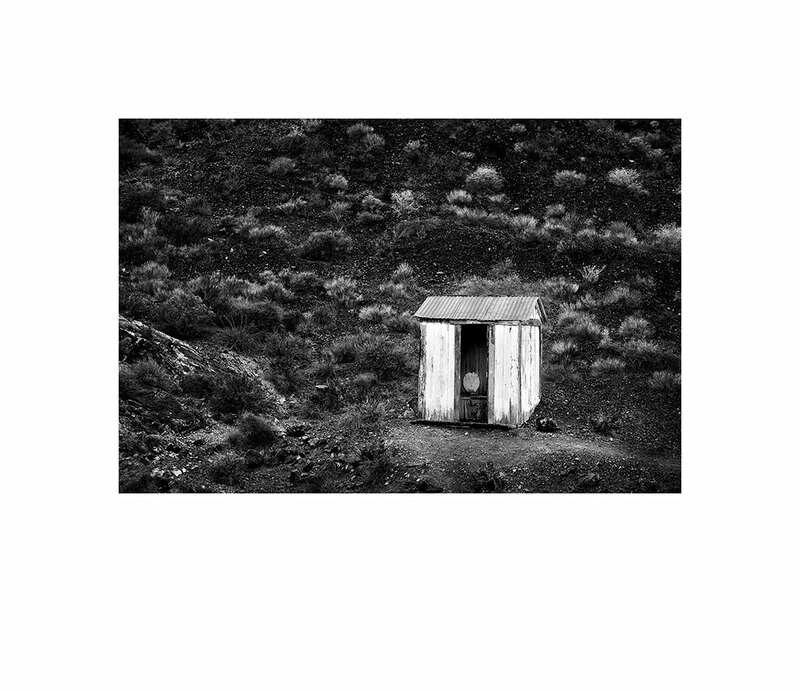 Well, while out at the Eureka Mines area in Death Valley, wouldn’t you know we find an outhouse! Unfortunately it was not usable as it had been left behind (no pun intended) for a long time. That and Chuck Kimmerle being the spoil sport that he is, immediately told the gang that we could NOT USE IT!. Regarding the image. This is an image I would never had considered until I met Chuck. This is very much inspired by his work and style of processing. Since spending a week with Chuck, I feel my vision for and the processing of my B&W images has improved dramatically. Till this time, I would not have seen the possibilities in this type of scene nor would I understand how to process it. Another visual memory for my memory bank. Regarding yesterdays excellent guest post from Arthur Ransome, I forgot to add a link to his wonderful website. I have gone back to do that but wanted to encourage you to so again here. Clicking on the highlighted link will get you to his site. Thanks again Arthur!! Arthur and Chuck are wonderful photographers. Of course you and Dare are too! I was blown away when you showed that to me on your laptop! Chuck has certainly given me a new perspective and tools to work with. Well, in my defense it is usually a bad idea to use a doorless outhouse with a dozen camera-toting explorers meandering about. Very nice photo, John. I think the fairly dramatic presentation and loose composition really emphasize the remoteness of this small, but important, structure. Why thank you Chuck! And I suppose you have a point about the outhouse…. Very interesting and clean image. It is very interesting on the different perspective between what you saw and I saw. The solitude of the outhouse did not catch my eye. But its location did … why on the top of the hill when the house was located down below. I guess that the owner did not realize that “XXXX flows down hill”. By the way, my perspective of the building was of the weathered steps, siding, and interior. And this is what makes photography fun Karl. We each see thing differently. This post triggered my thoughts on how I saw this subject. I added your post on my website and included my perspective. New ideas on old subjects always catch my interest.